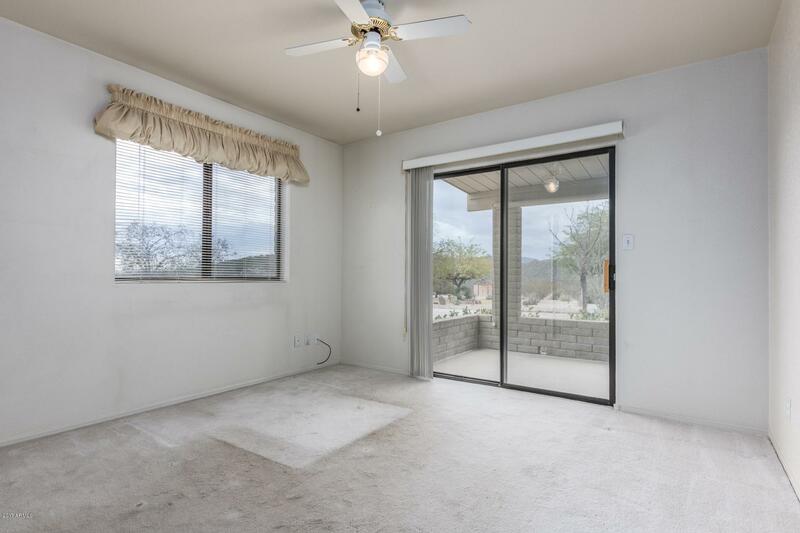 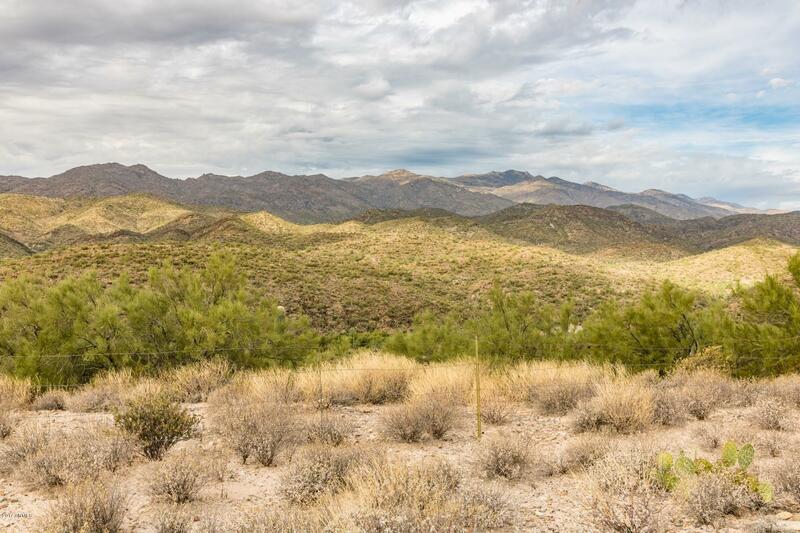 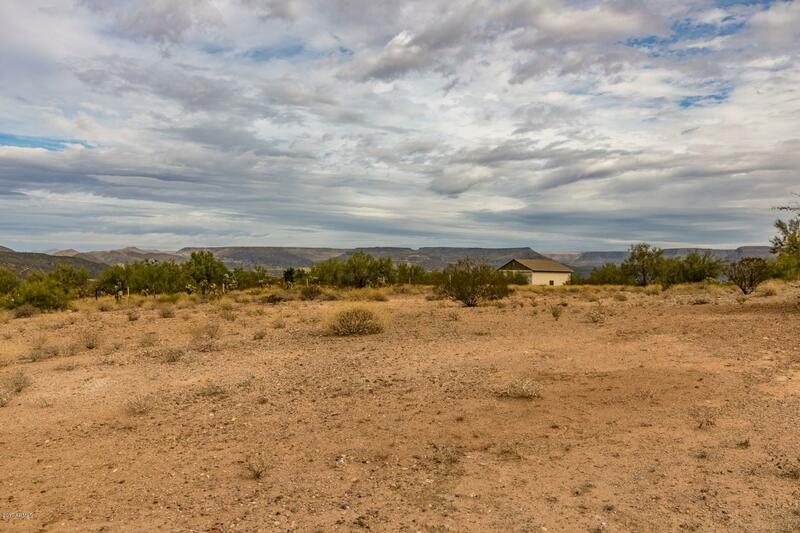 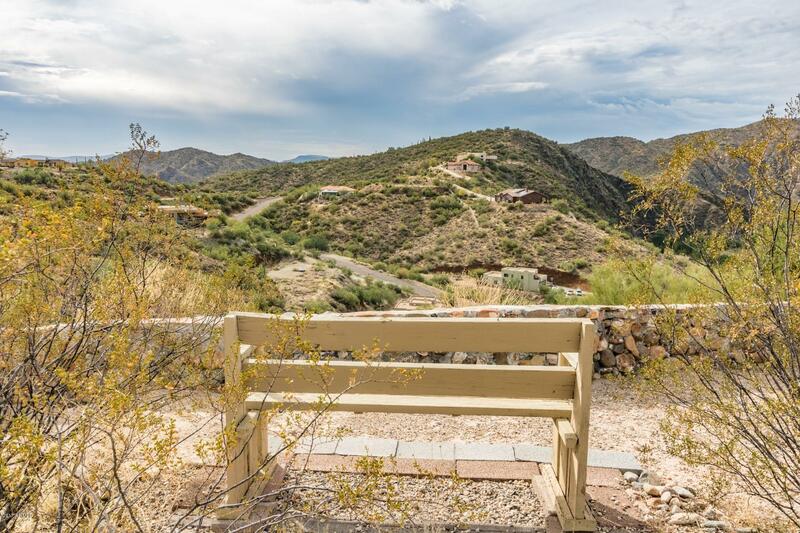 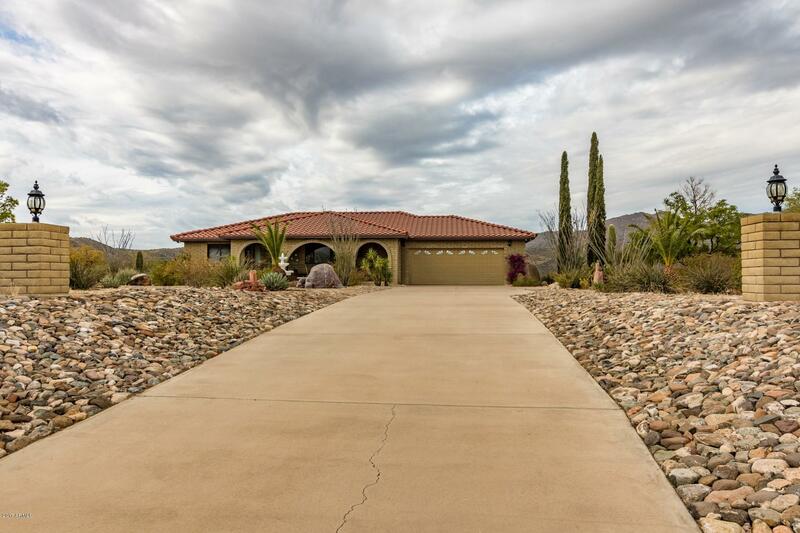 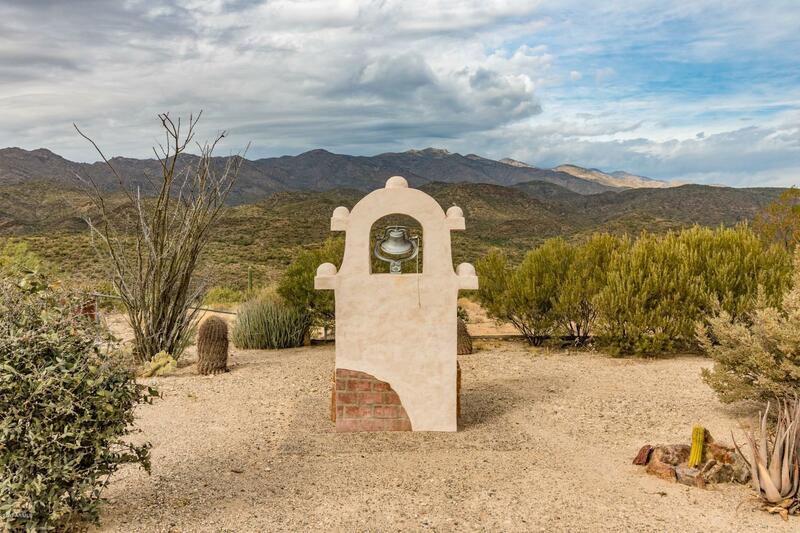 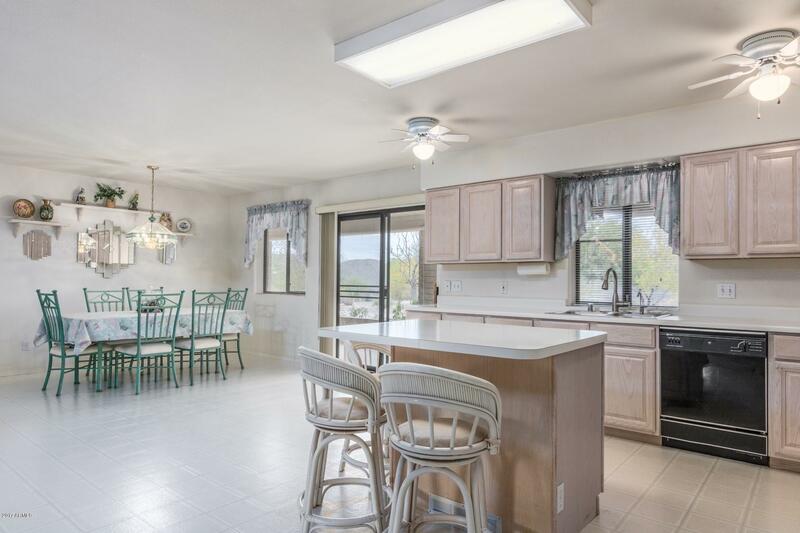 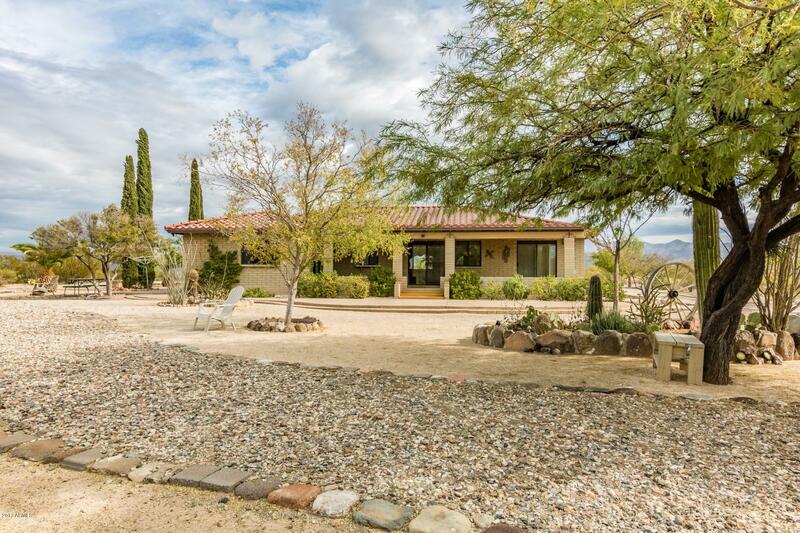 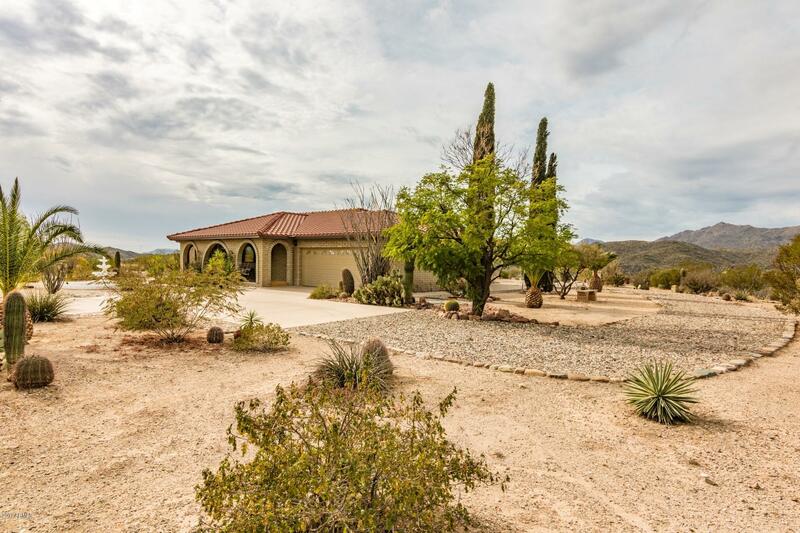 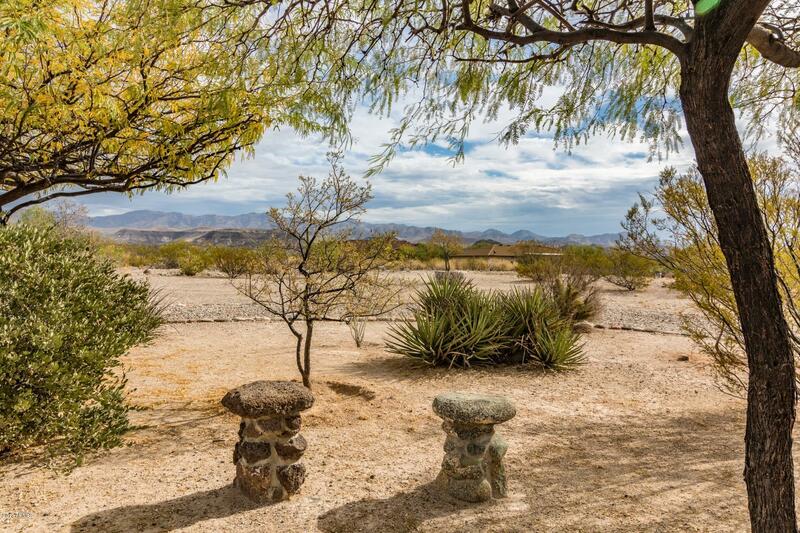 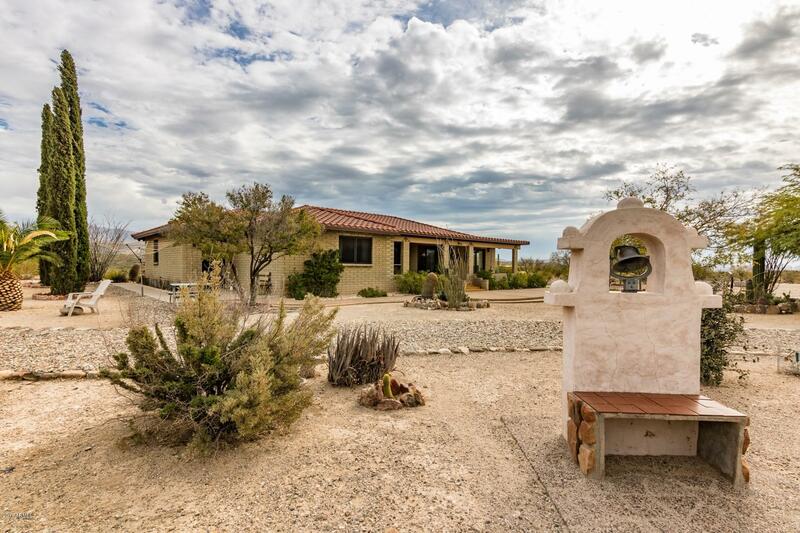 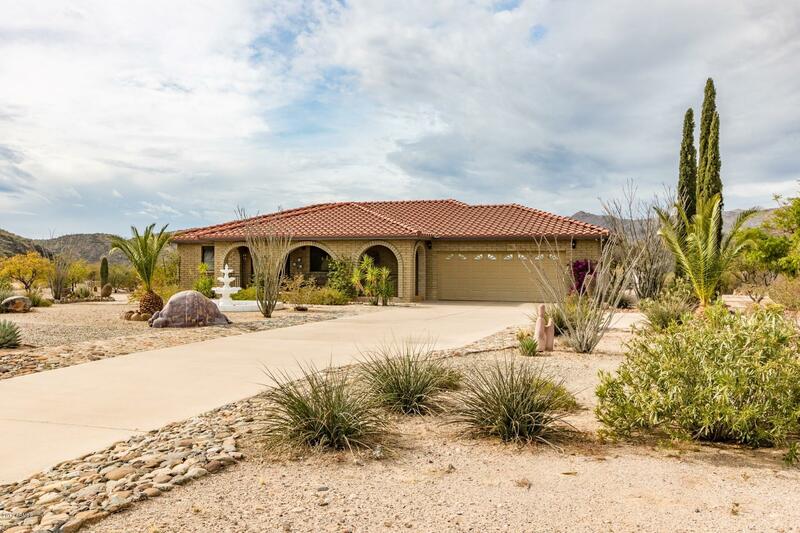 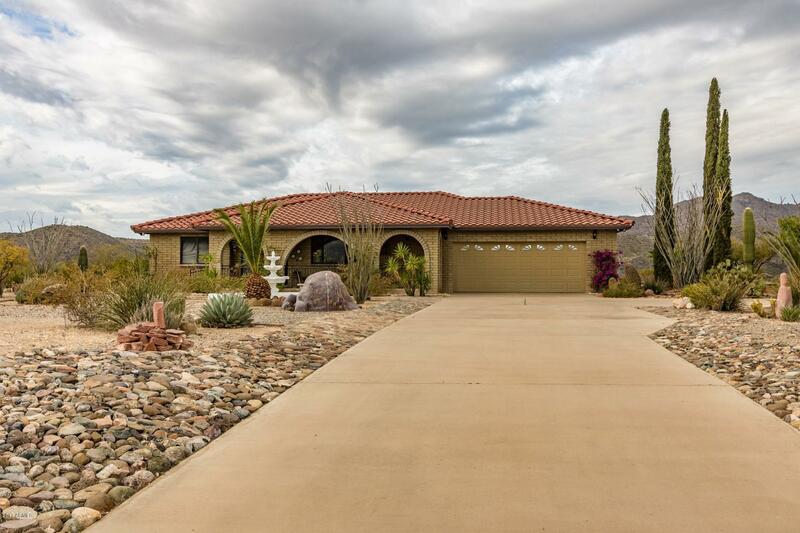 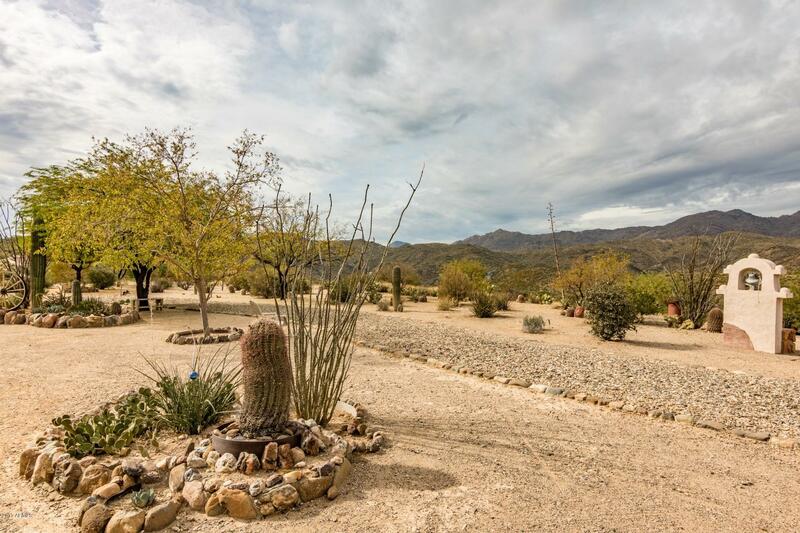 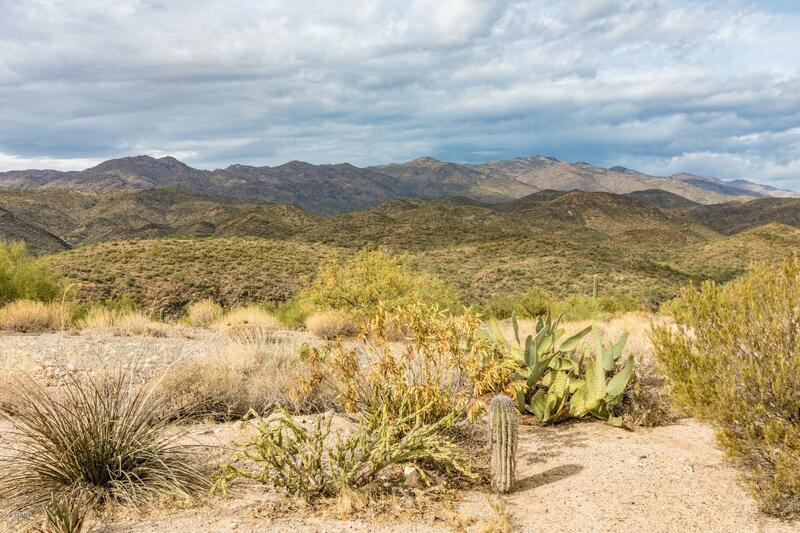 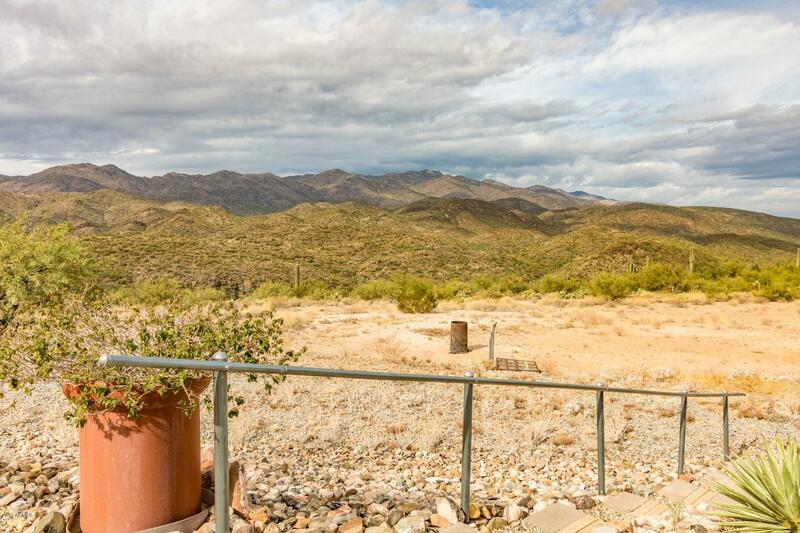 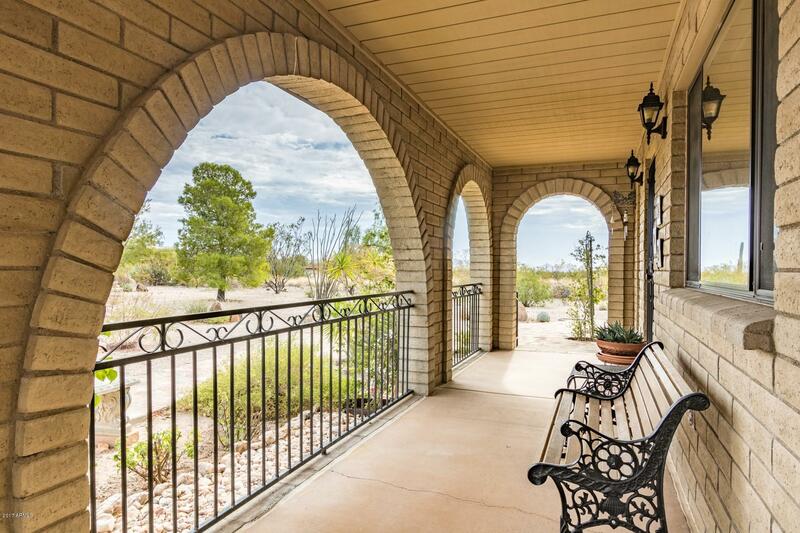 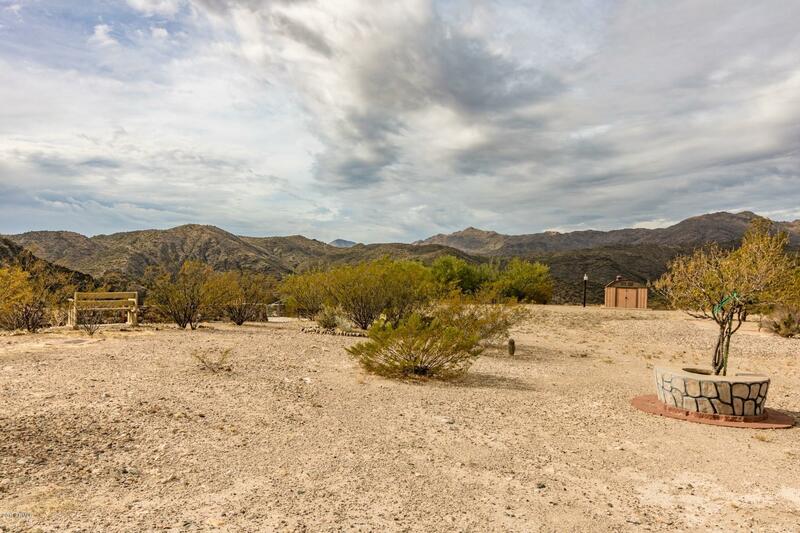 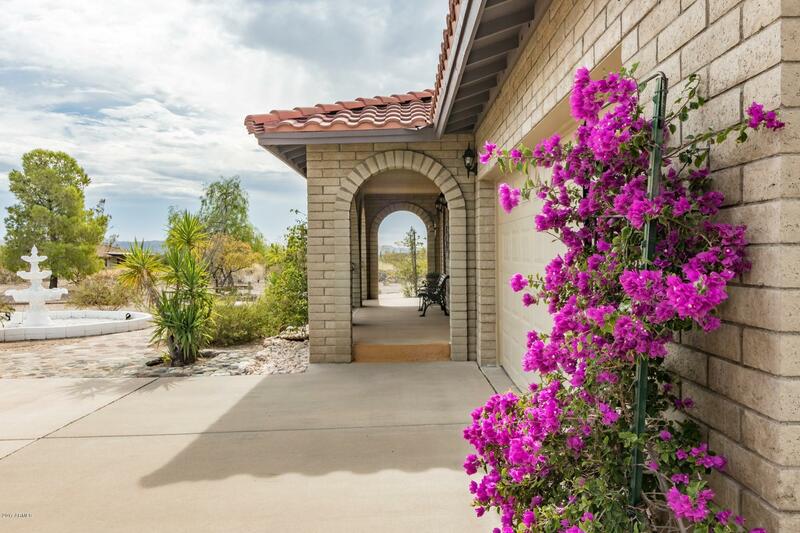 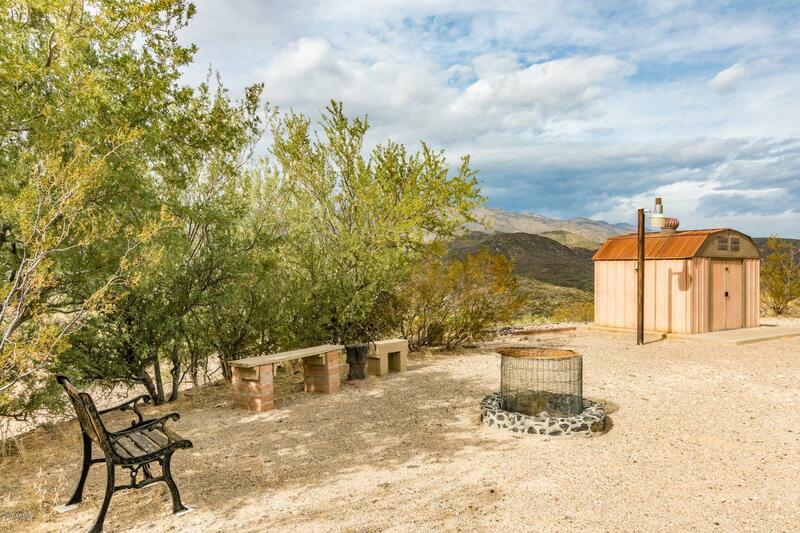 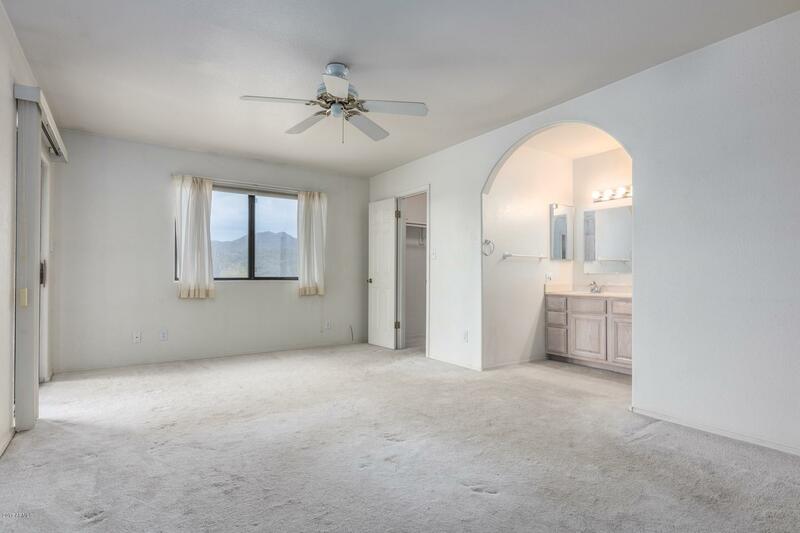 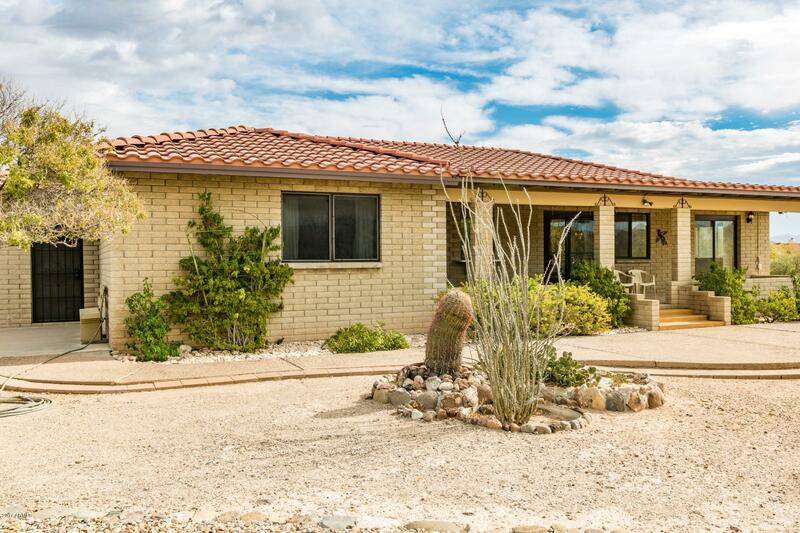 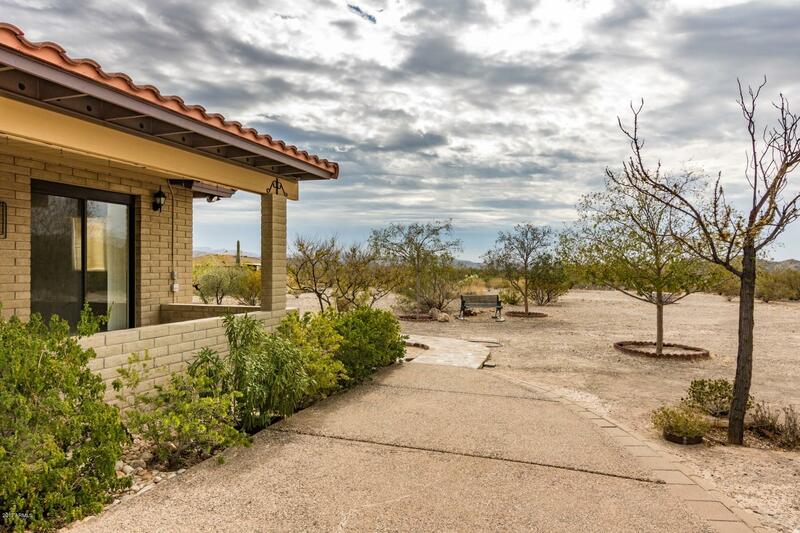 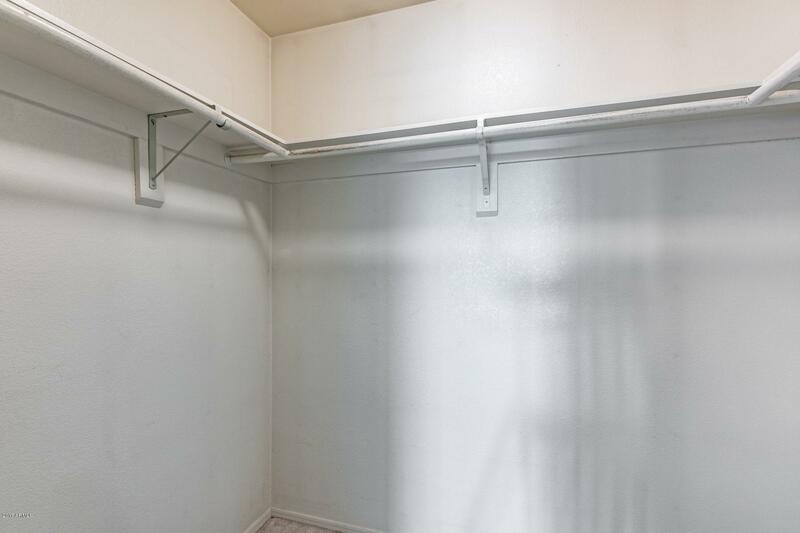 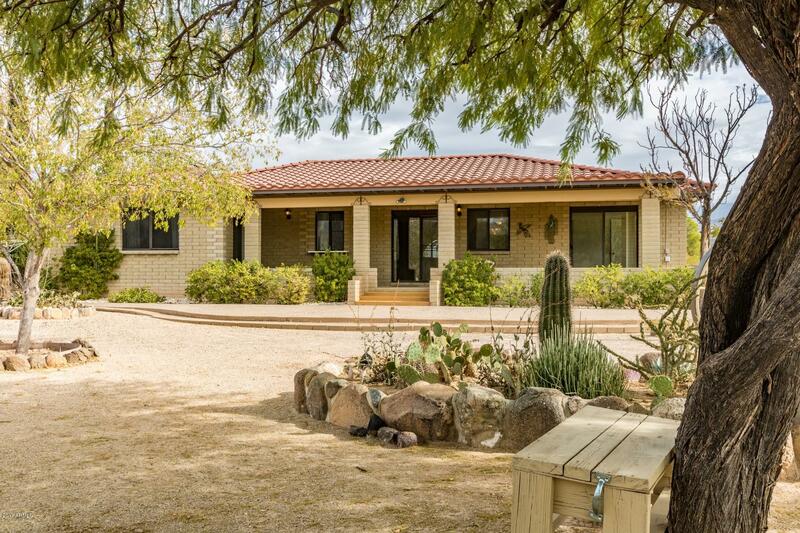 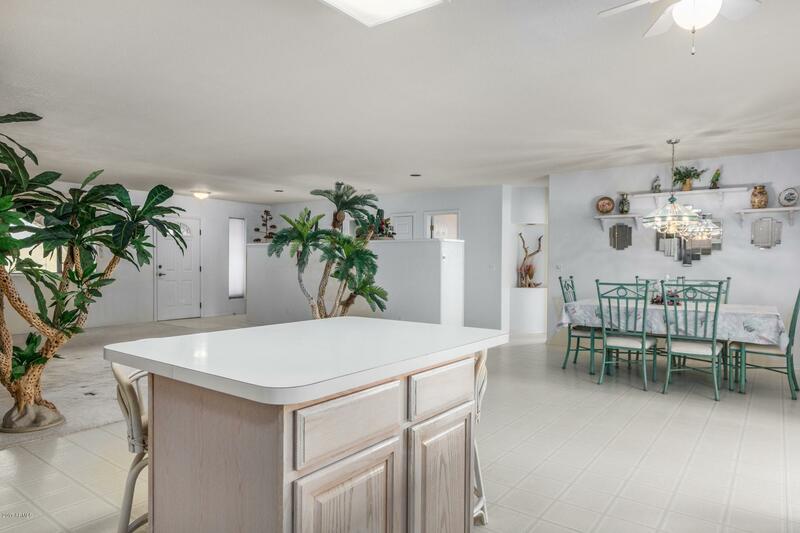 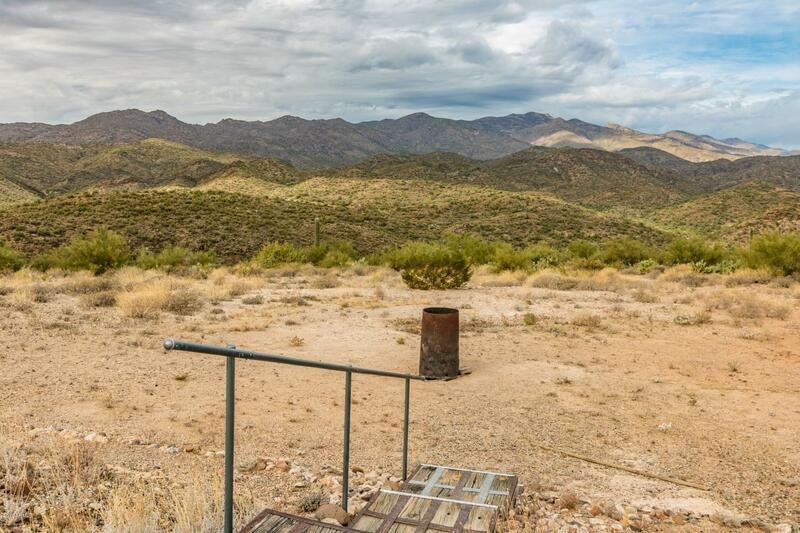 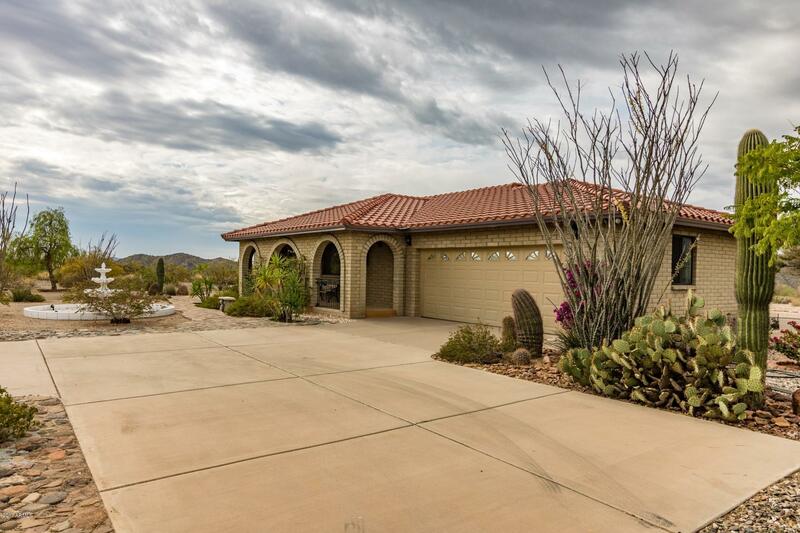 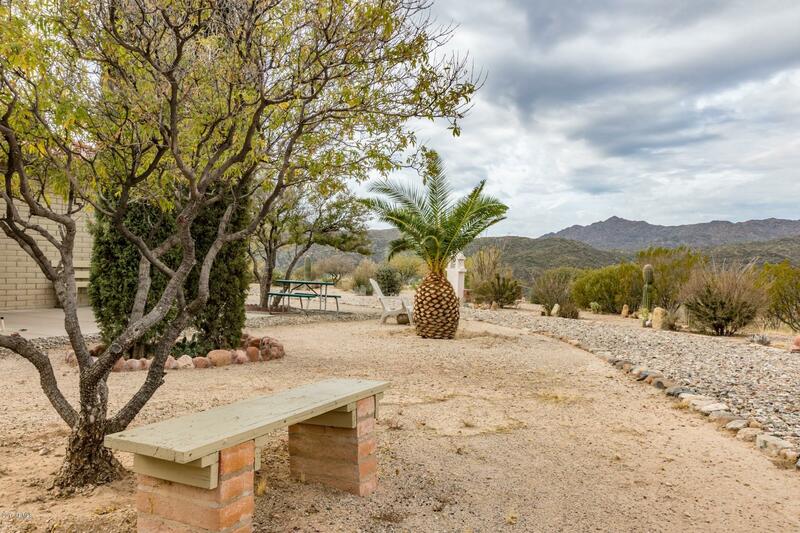 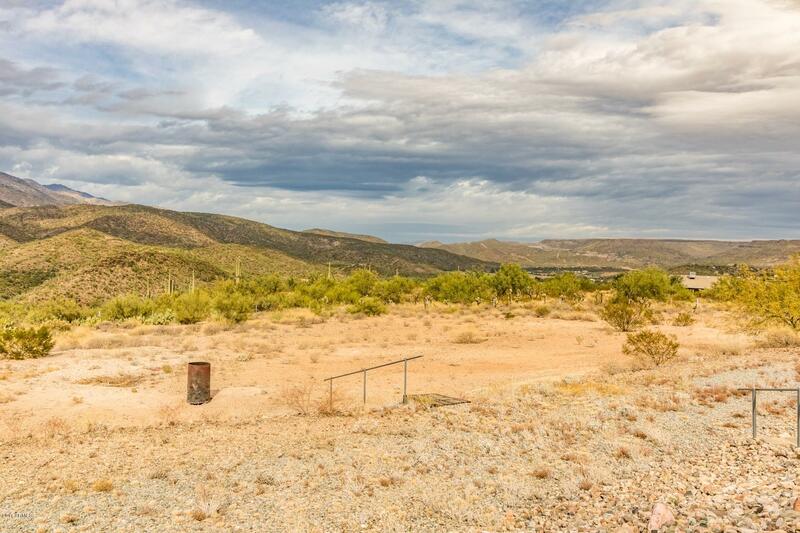 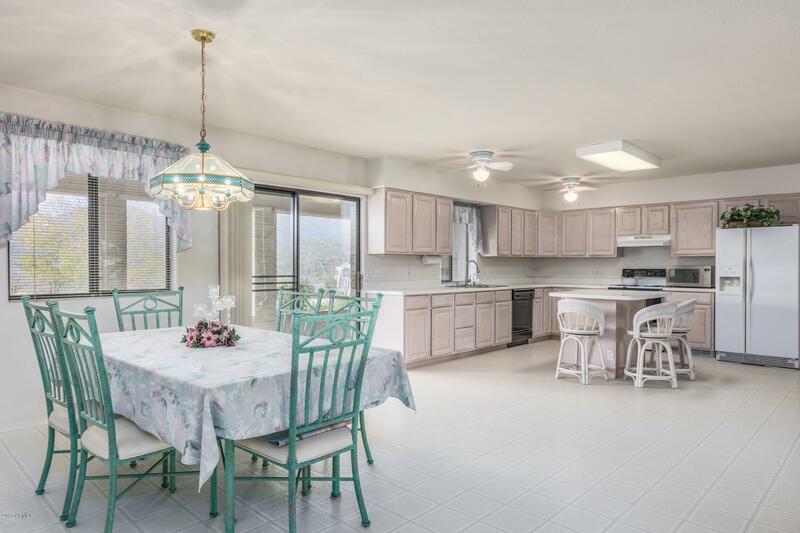 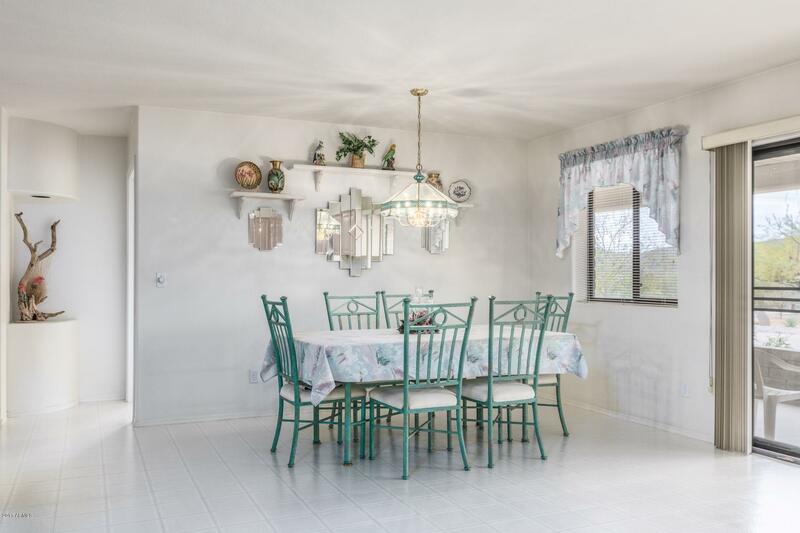 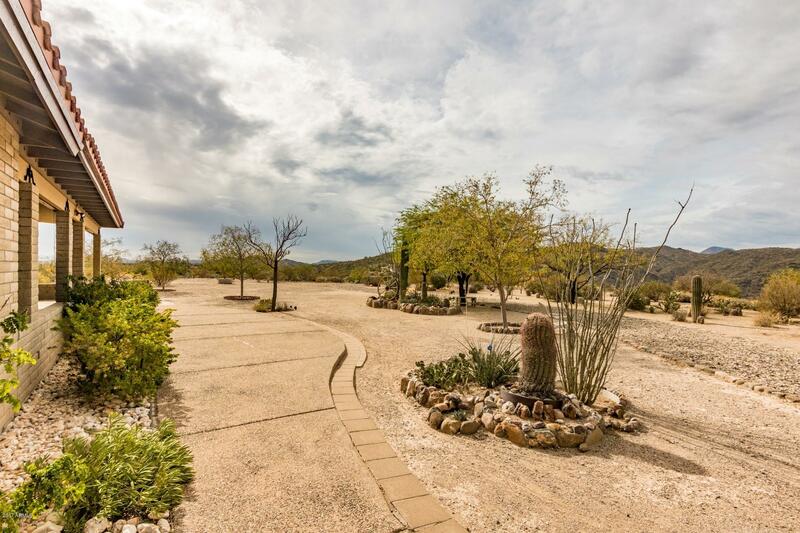 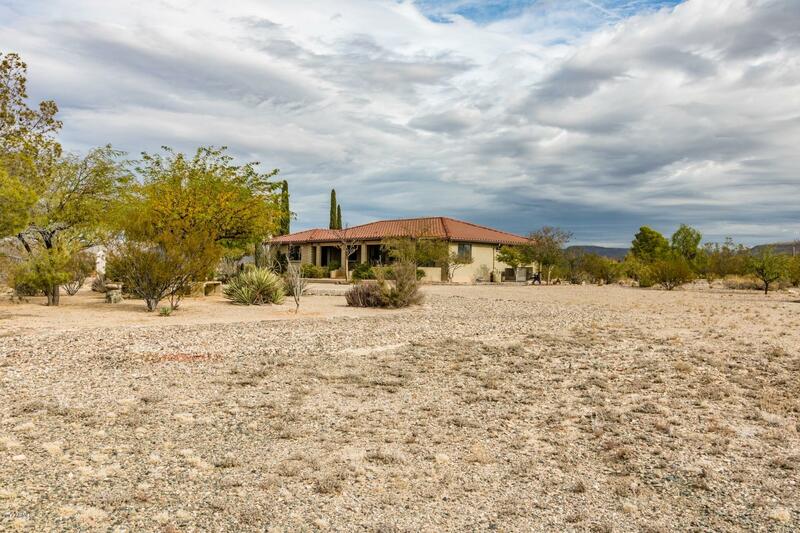 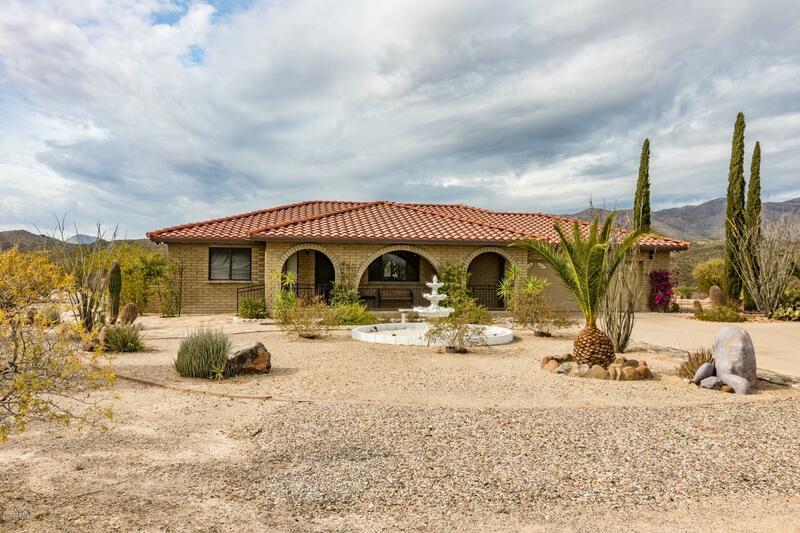 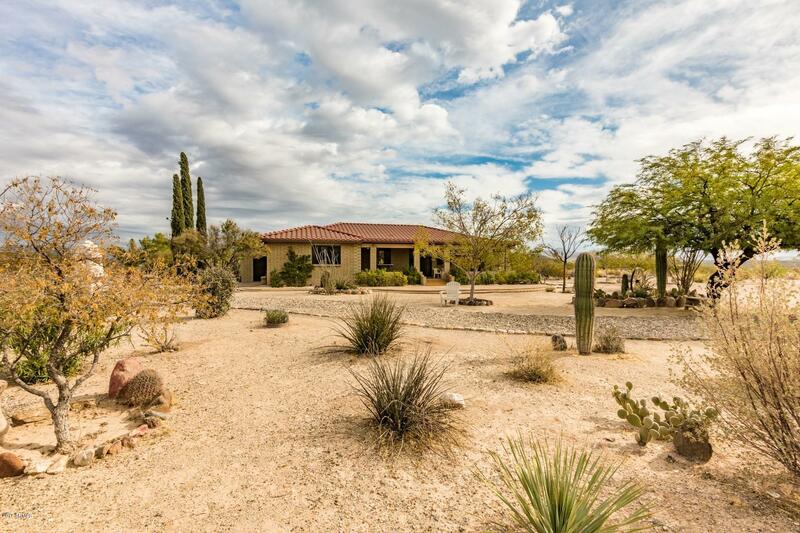 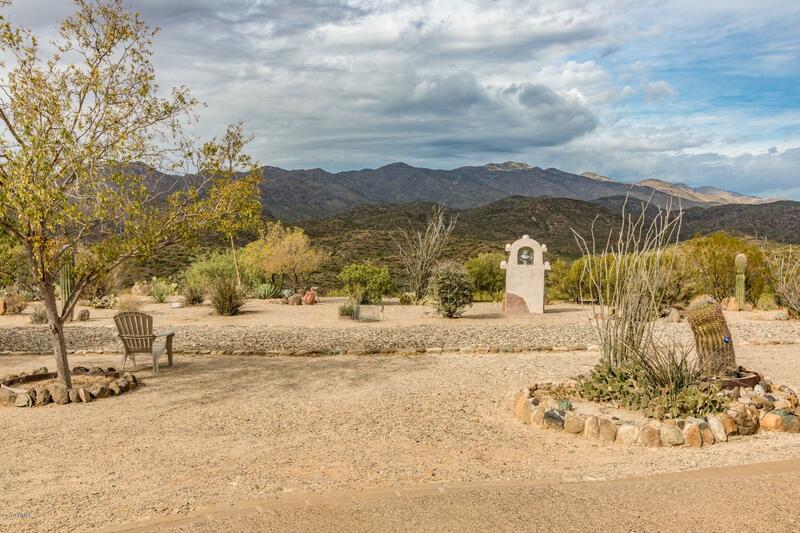 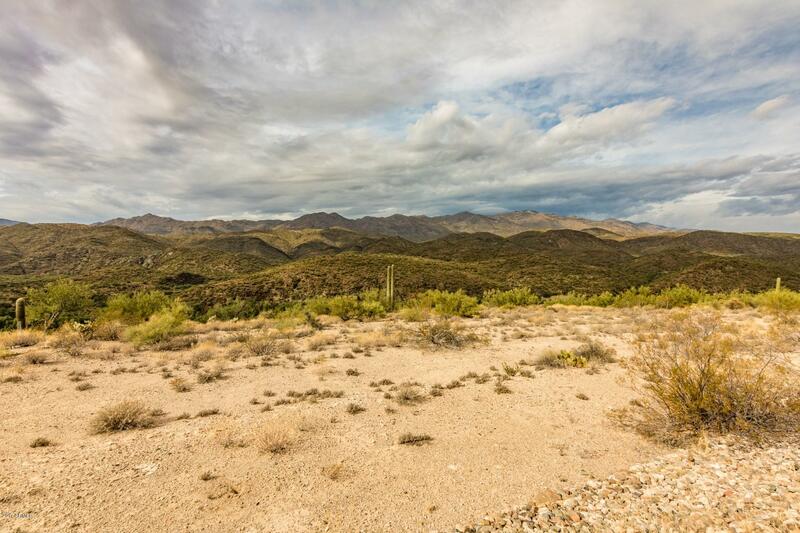 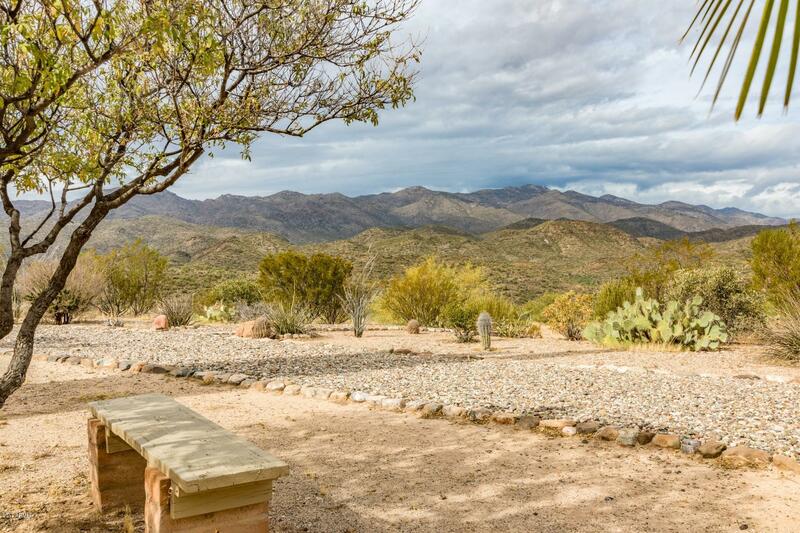 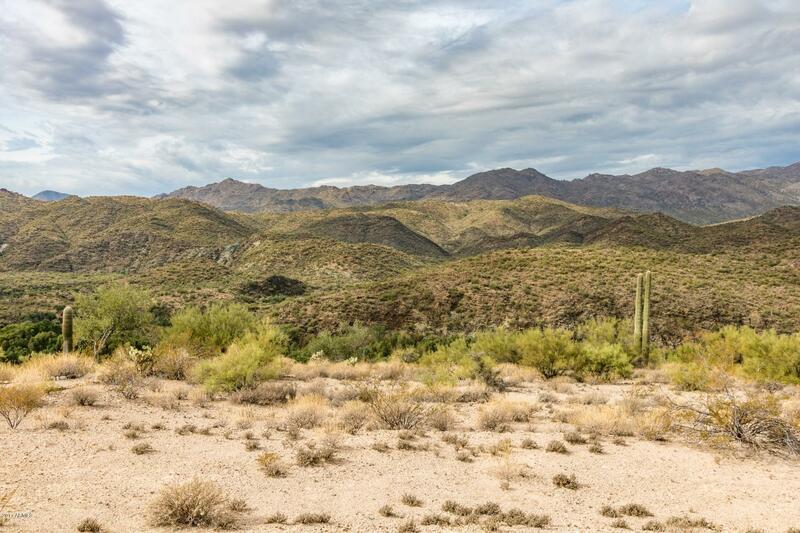 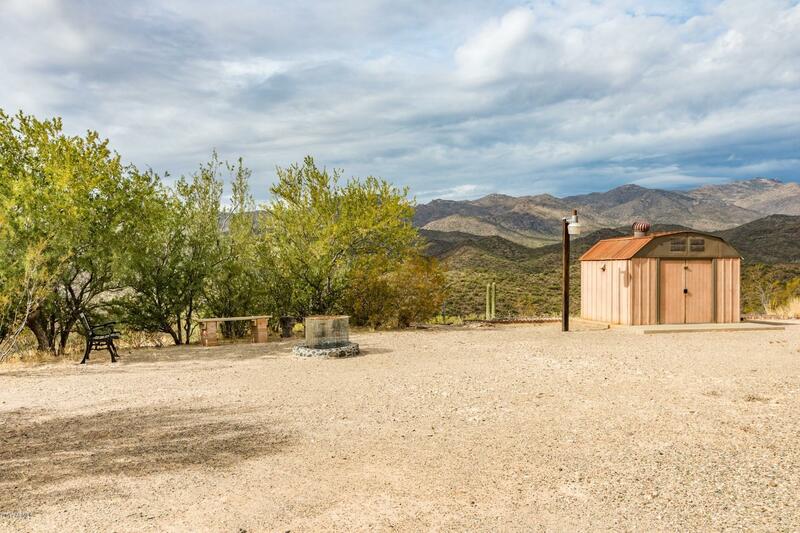 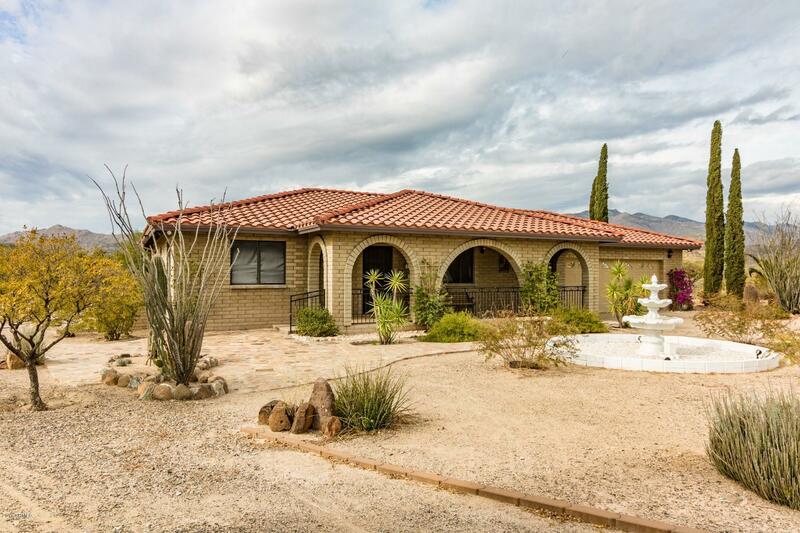 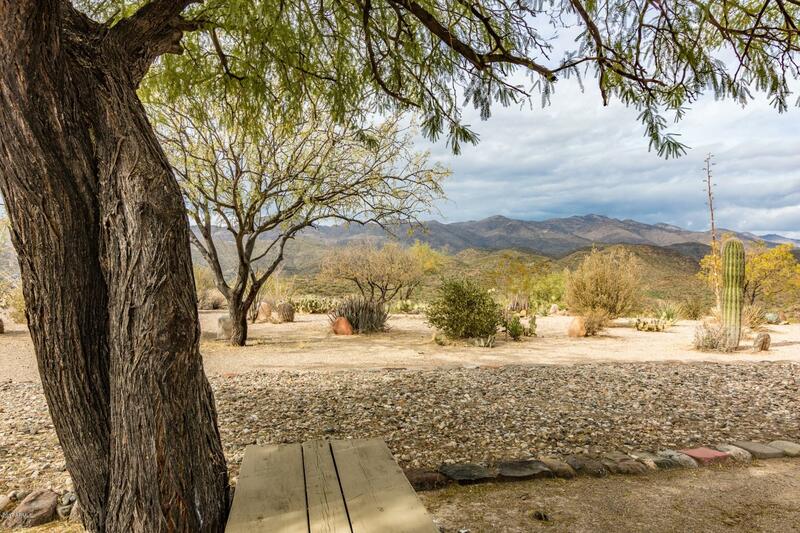 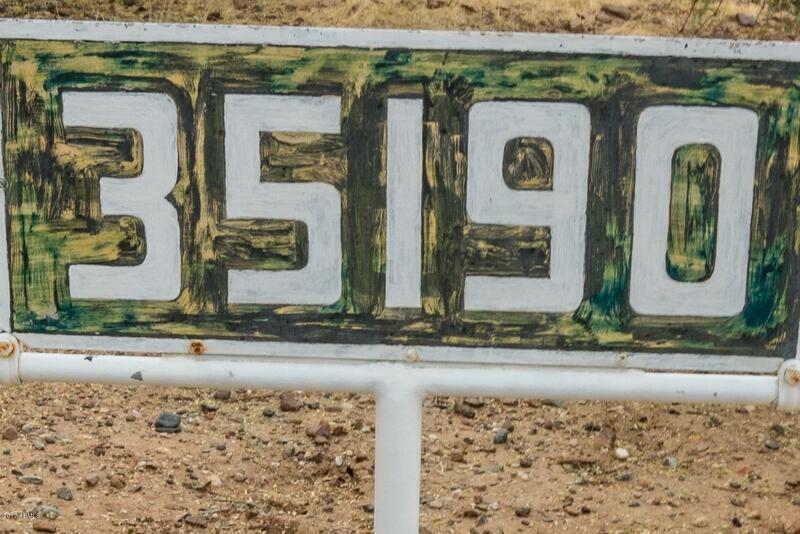 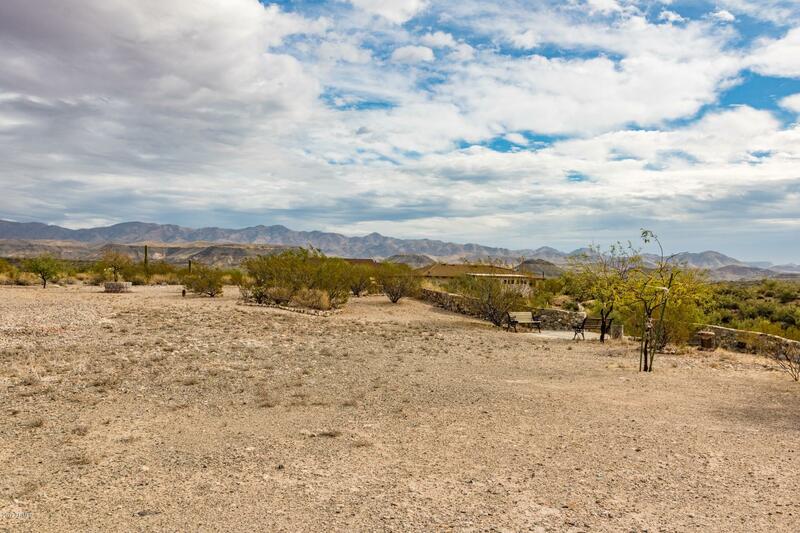 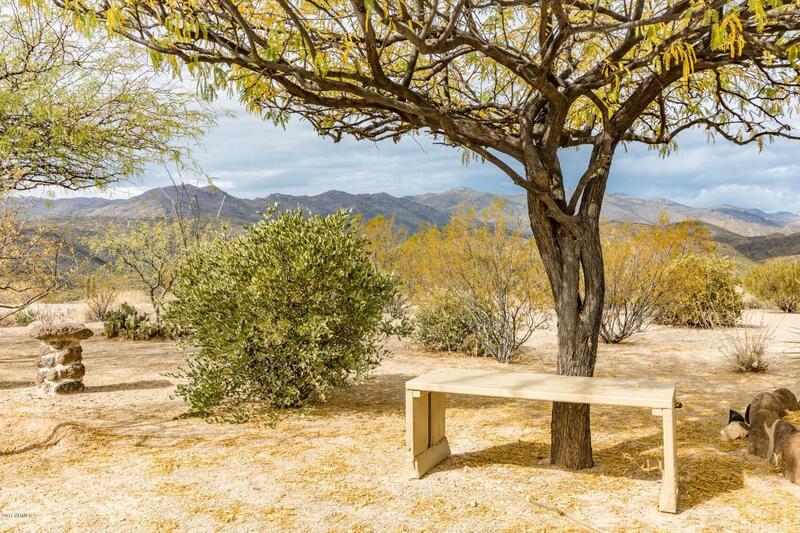 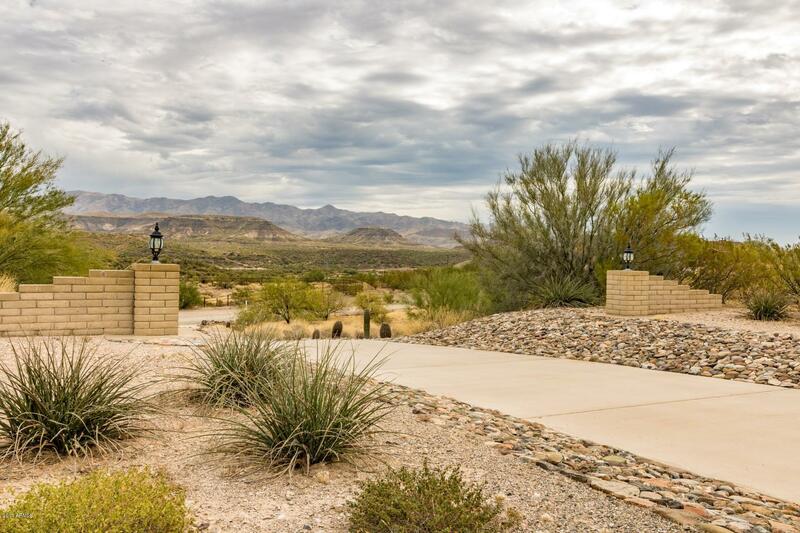 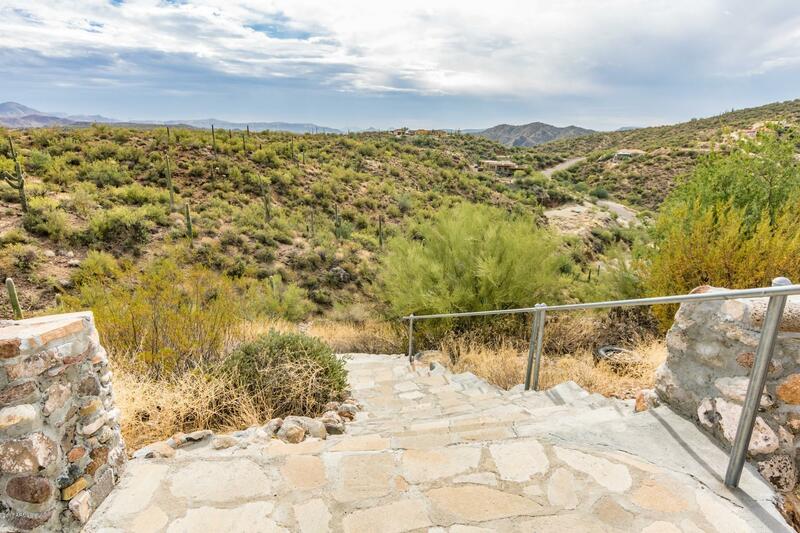 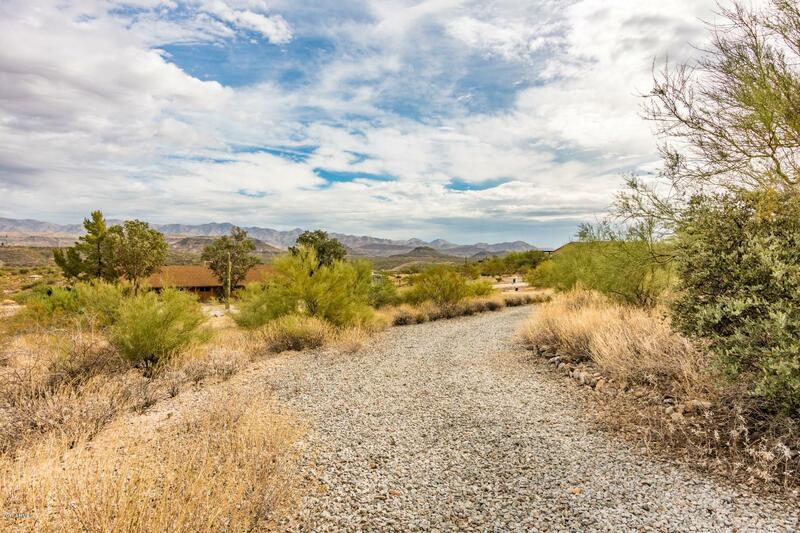 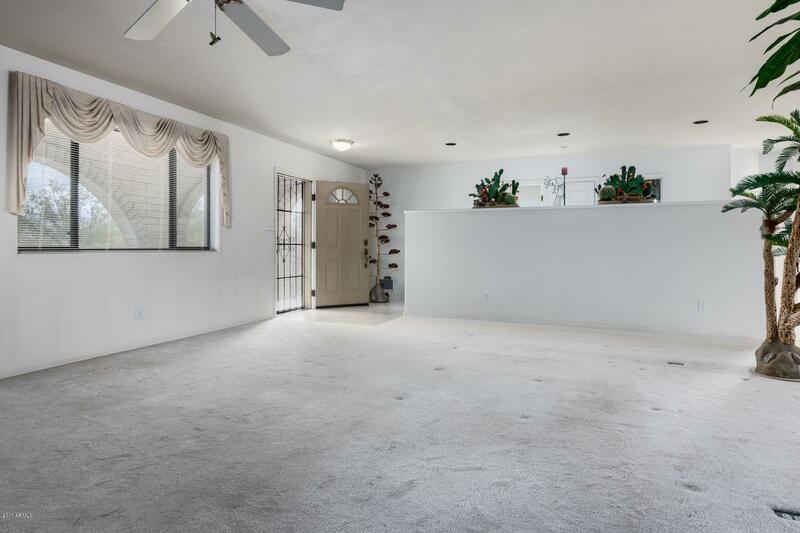 Privacy and Majestic Views on 11.57 acres of land with views of the Bradshaw Mountain Range. 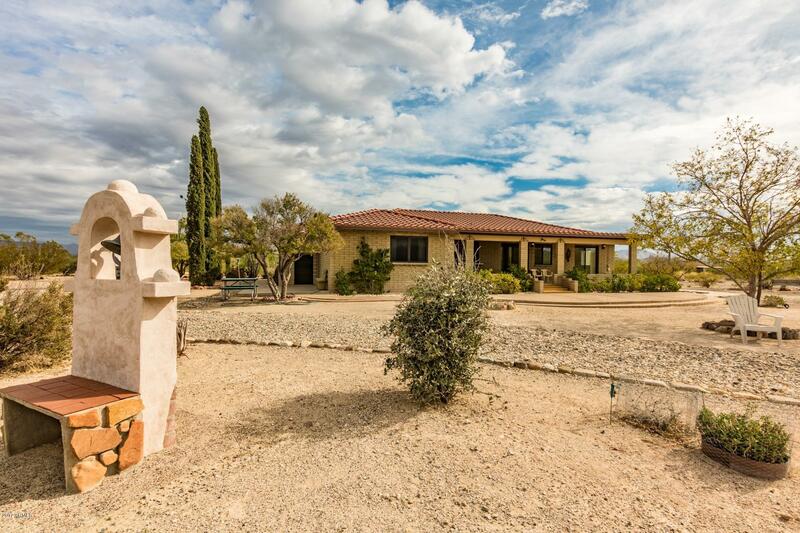 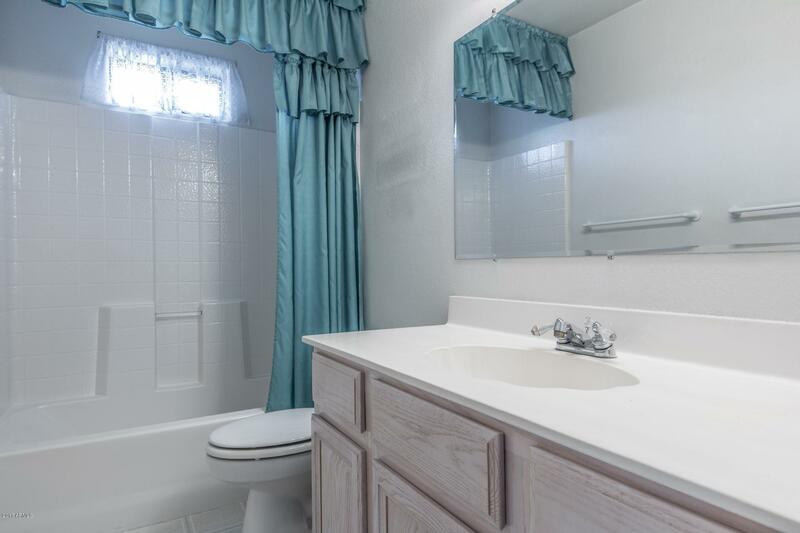 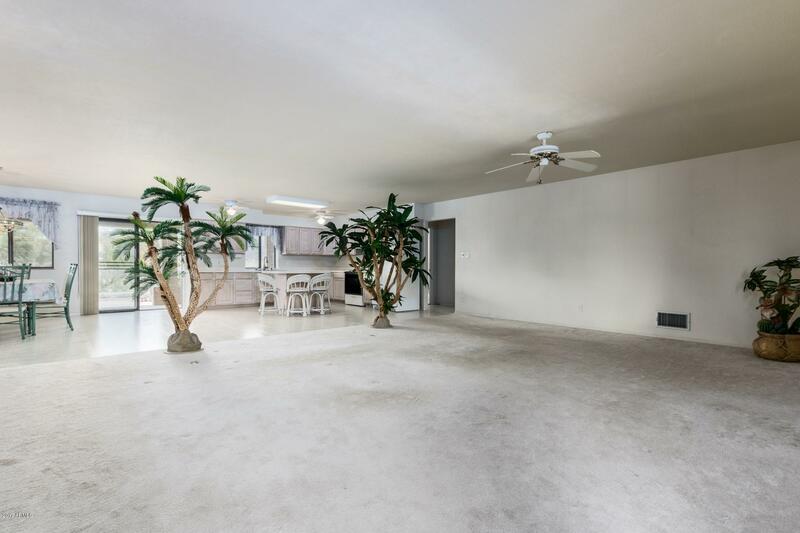 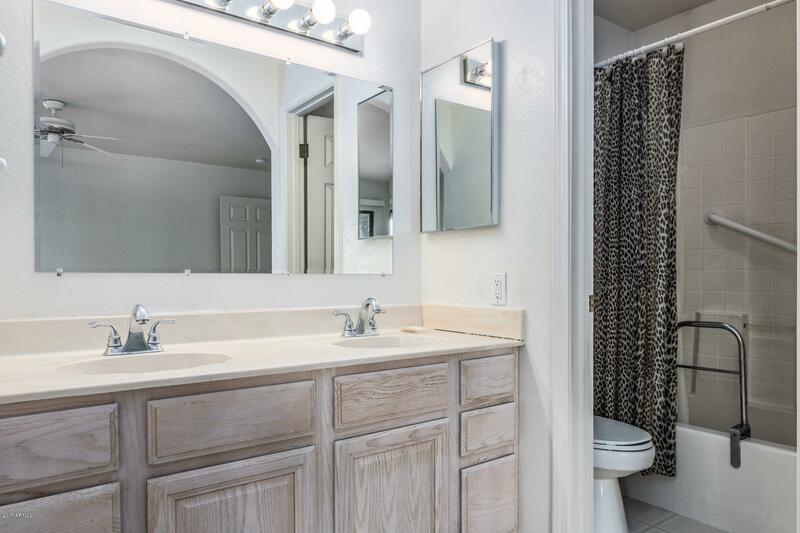 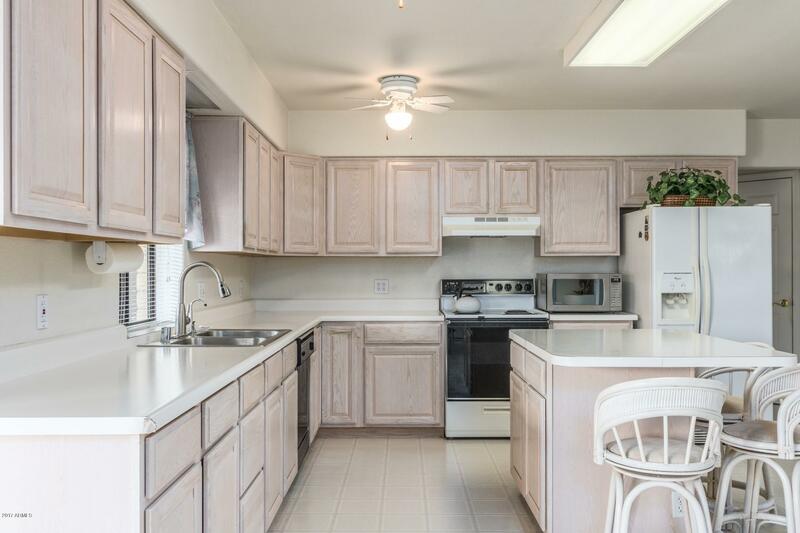 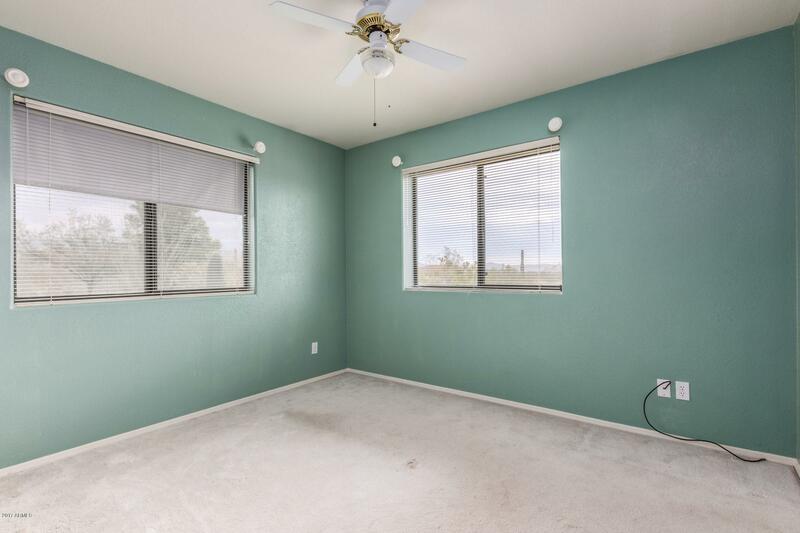 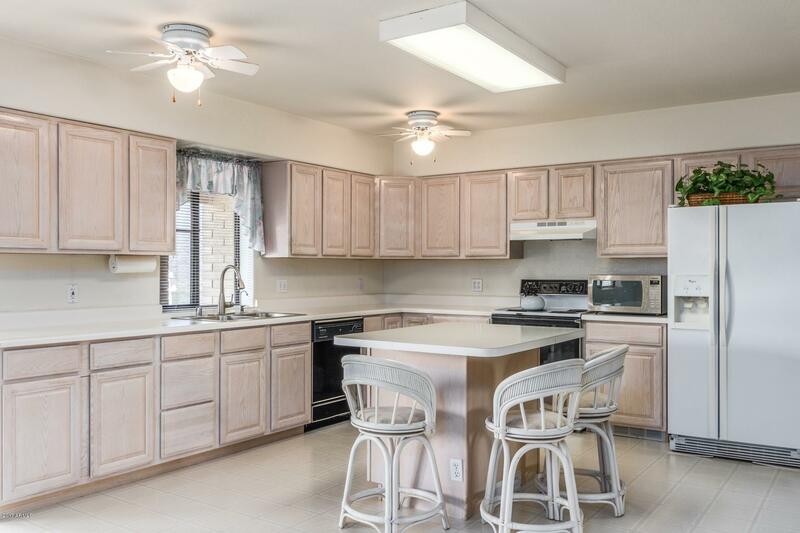 The home is a three bedroom, two bathroom with front and back patios. 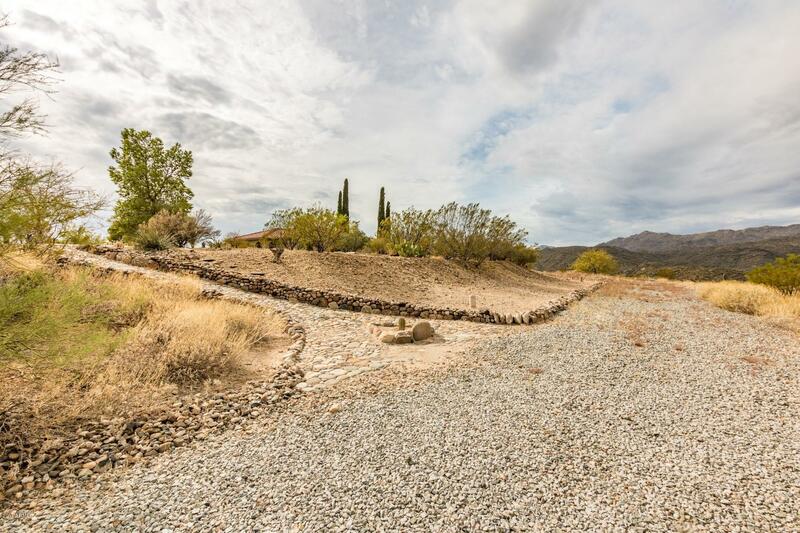 The property can be split into a combination of two acre parcels if you want to build homes or guest home. 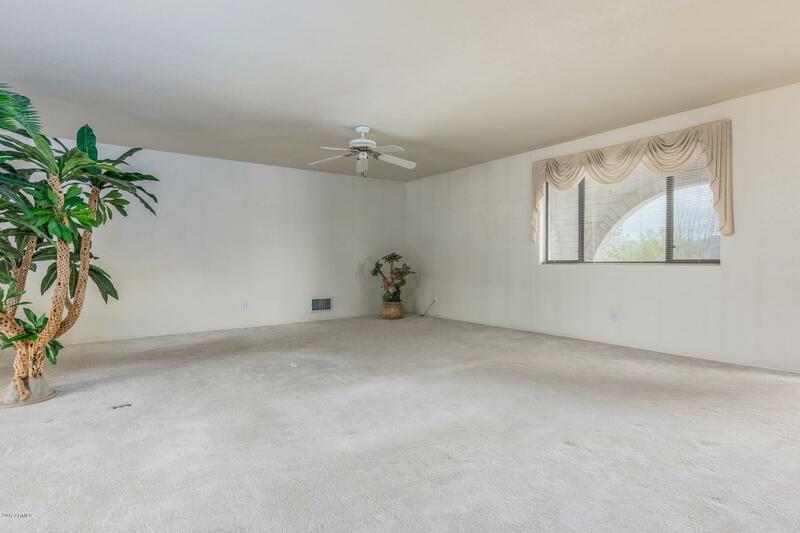 Make it a family compound. 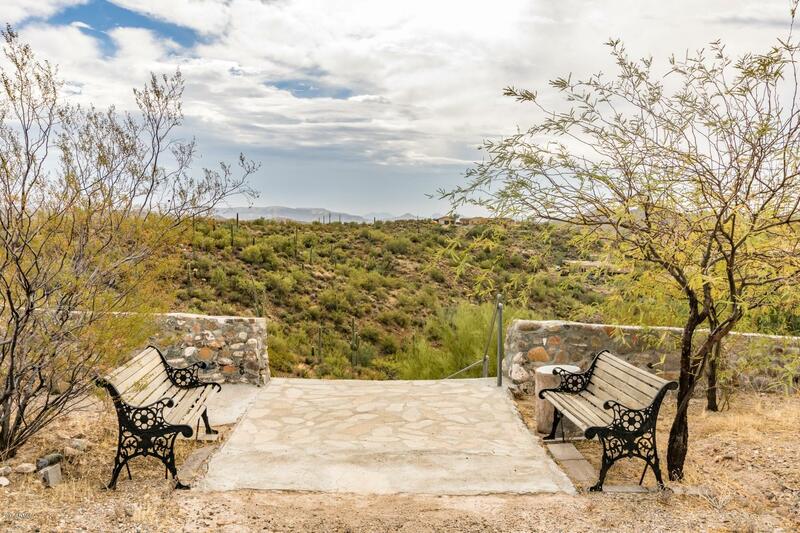 Come and take a tour or the property and spend time enjoying the view from the many seating areas. 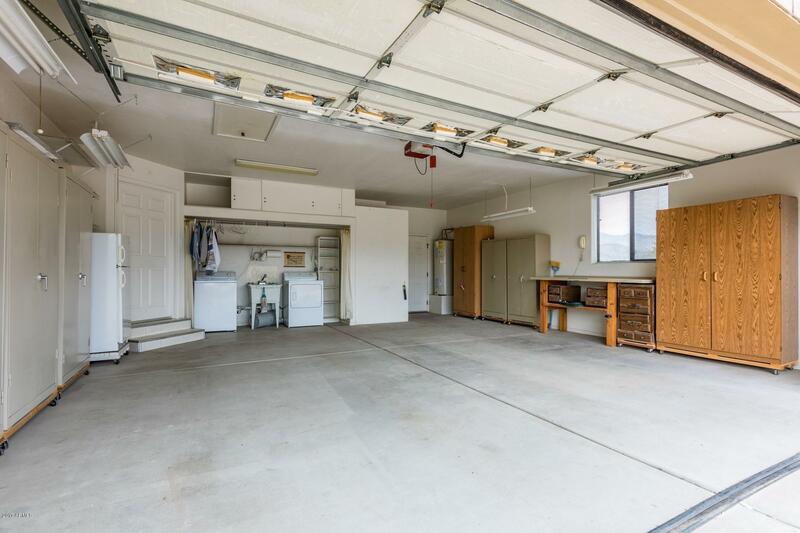 Bring your horses and see how you can set up arenas and stalls. 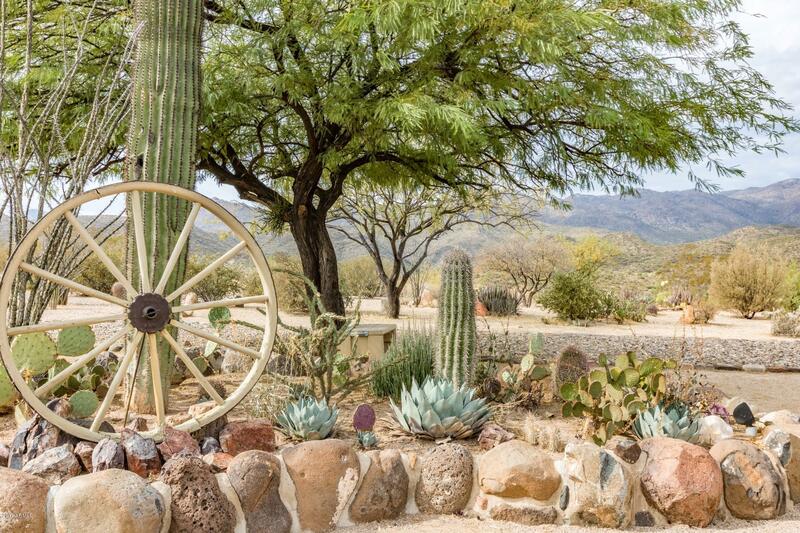 Watering system throughout the 11 acres. 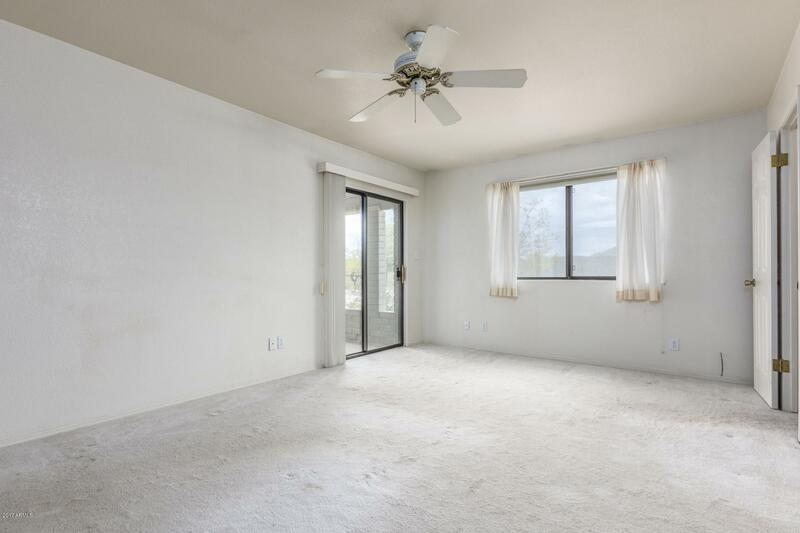 New AC unit installed July 2017.